Joseph Jordan is an Associate Consultant of The FutureWork Institute, with more than 16 years of experience in diversity facilitation, management and marketing. He brings knowledge and expertise to our FWI team in the Midwest Region. While working with global clients, Mr. Jordan has conducted executive-level assessments and focus groups and has delivered keynote speeches to many of the Midwest region’s decision makers. He began his work in diversity after a long career in communications, specializing in brand strategies that focus on PR, design and guerrilla marketing. Introducing diversity to companies as a brand, Joseph helps them assess current strategies and link practices to business results. He creates programs and policies that elevate management’s ability to continue the process from the inside. While working with global clients, Mr. Jordan has conducted executive level assessments, focus groups, and delivered keynote speeches to many of the region’s decision makers. He has spent years as a board member, working to fight bias and bigotry in communities. He has spent more than 10 years contributing to the National Conference for Community and Justice (NCCJSTL) as an officer. He was also a leader with Minority Corporate Network, St. Louis Priory School – Alumni Board and the Black Leadership Roundtable – Economic Development Committee. After graduating from Cornell University, Joseph worked for the embassy of the Czech and Slovak Federal Republic in Washington, DC as an assistant to the Financial Attaché, teaching future Czech-Americans how to begin successful businesses in their new community. Later he accepted a marketing vice president position with a small corporation in Skagway, Alaska, for one year. He began his marketing career in executive marketing and sales positions with Shandwick USA and Metropolitan Design and Building. 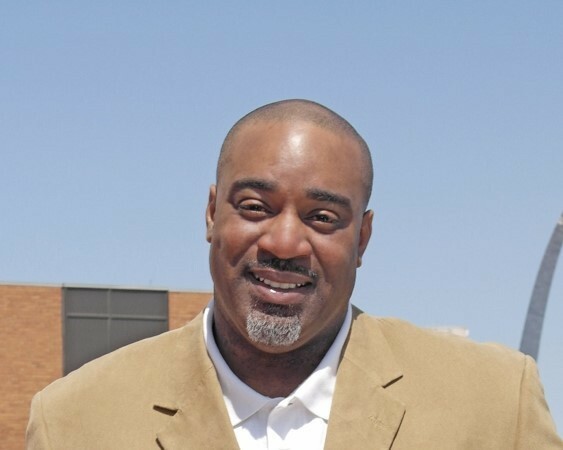 Over the last decade, Mr. Jordan has worked with a range of clients in the technology industry, including Maryville Technologies, Indeeco, Altana, Hager Companies, Kranson Industries, SSE, MiTek and Worldwide Technologies, the largest African-American owned company in the world. Other clients have included Johnson & Johnson, Hellmuth Obata & Kassabaum, Inc. (HOK), Centene Corporation, Centric Group Corporate, Edward Jones, Sansone Group, St. Louis Black Repertory Company, St. Louis Business Diversity Initiative, St. Louis Cancer Foundation and the St. Louis Regional Business Council. Mr. Jordan received his Bachelor of Science in Psychology from Cornell University and he is proficient in Spanish.